Folks in the bike world are notoriously picky, and that shouldn't be a surprise. The industry that gave you guidelines on pedal alignment for pictures of your bike, rules to match your seat and bar tape, and athletes looking for 'marginal gains' are bound to have some pretty strong opinions on things like bottle cages. This weekend, getting ready to Barry-Roubaix and knowing full well that every item on bike and person would be tested by rain, grit, mud, and cold, we took a step back and thought about just why some of the things we get so excited about matter so much. Heading into the squalls and harsh conditions, surely there was an element of comfort knowing our meticulously selected things would stand up to the challenge. Here are a few of the small things that, we think, add up. 1. Bottle cages. It's something that you start to get a preference for right about when you lose a bottle on a long, hard day in the saddle. There are several camps; die-hard King Cage fanatics, nostalgic ELITE Ciussi fans, Velocity cage adherents, and plenty of others, too. 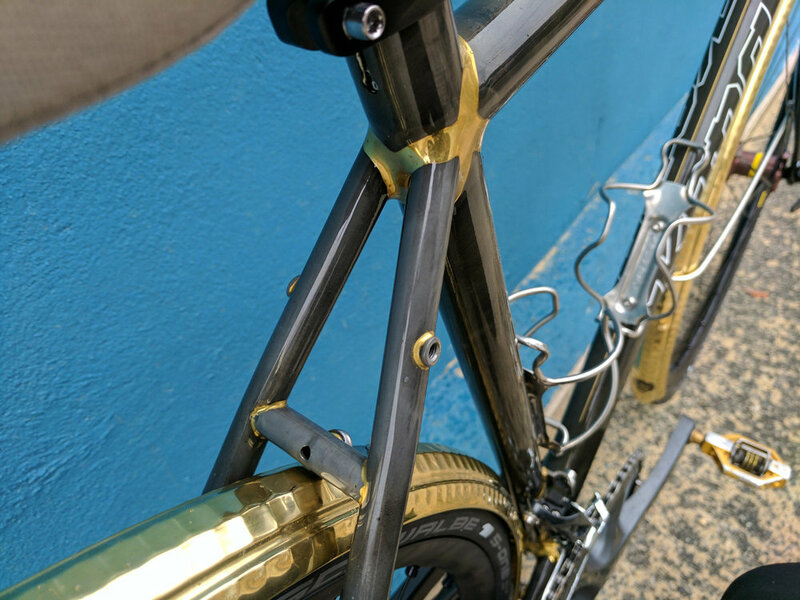 It's not unusual to walk into your buddy's garage and notice that he's got Whisky C3 carbon cages on his road, mountain, fat and urban bike...because you need to keep your '73 Varsity lightweight. 2. Bar tape. This one is actually a pretty big deal. If you're spending 62 miles on wet gravel and tossing yourself and your bike over unseen and water-filled potholes, you want as smooth of a ride as possible. We're still fans of good ol' fashioned cork tape. It's easy to install, lasts just long enough to get sick of the color and change it, plus it feels great even after some big miles. There are also plenty of other options, including Lizard Skins, with multiple thicknesses and about as many color options as a bookcase at IKEA. 3. Tires. This is a tough one. No matter what bike you're on, it's nice to have a few options to meet the demands of different terrain. But everyone still has a go-to that they trust for a wide variety of terrain or conditions. The Schwalbe G-One, for example, gets about 2,000 miles on my gravel bike a year, from late February until spring. You'll also find people that wouldn't imagine running anything but WTB, or Continental, or Panaracer tires. If something works, and works well, you have a hard time getting people to try something else. What about you? What are some products you stick with, no matter that?